Minds Renewed is building a network of 12,000 hand-selected consortium members who will provide the hearts, spirits, knowledge, and prayers through which we serve those impacted by mental health concerns and addictive disorders. Both the suffering and their loved ones need the hope that they are not alone; that healing is possible; that others will come alongside them; that there is eternal hope in Jesus Christ. Using our network of 12,000 consortium members, we can help simplify their searching by evaluating, curating, and communicating the highest quality mental health content on the web. Even with the best websites and information, we often need a navigator to help us find our way or steer around obstacles. We will provide those navigators and, when needed, poll our 12,000 consortium members to provide more help. We will accelerate the growing interest in mental health ministry by providing a central place where news of local church ministries can be found; where regional, national, and denominational or topic-specific conferences and mental health ministries can be publicized; and where those who are interested can find them easily. At the heart of Minds Renewed is its Consortium of nominated, hand-selected members, which we seek to grow to 12,000 members by 2020-2021. All will be followers of Jesus Christ. Together, they will represent proportionately the theological, cultural, and geographic diversity of Christian faith communities in the US. While the majority will be mental health and pastoral counseling professionals, others will be leaders of mental health non-profits; clergy and leaders of churches and para-church ministries; and social workers, educators, writers, journalists, researchers, physicians, attorneys, other professionals, and advocates and peer supporters. When Consortium members apply to serve, they describe the centrality of their desire to follow Jesus Christ. In keeping with their desire to follow Christ, they agree to pray for Minds Renewed regularly and to allow their prayer to guide them as they respond to needs that come to their attention. Members also agree to allow their prayers to guide them in how they share their time and financial resources with Minds Renewed. Though it was incorporated in 2013, the roots of Minds Renewed go back to 1992 and a local church in Winston-Salem, NC. When one of the church’s pastors was asked by non-believing parishioner for advice about his depression, the pastor recommended a Christian counselor whose ministry had opened a short time earlier. A brief counseling relationship resulted in the parishioner giving his life to Christ and the depression lifting. A few years later, he became a Board member of the counseling ministry, where he served for twenty years. In the late 1990’s the parishioner experienced an episode of bipolar disorder. That experience led him to a psychiatrist who was a member of his own church. That psychiatrist became the department chair of psychiatry at two major medical schools and served as Minds Renewed’s founding chairman. In 2001, a pastor of the church asked the parishioner to establish a church-based bipolar support group ministry for the community. That ministry continues today and has been visited by over 2500 people of many ages and faiths. Noting the fruits of this ministry, in the late 2000’s the parishioner, the counselor, and the psychiatrist began investigating the availability of mental health ministries elsewhere. They also studied specifically whether a web-connected consortium might be needed. That produced a study that resulted in a small conference in 2011 to discern the Lord’s will for meeting this need. The answer was Minds Renewed. Minds Renewed is a not-for-profit corporation chartered in North Carolina under the name of Minds Renewed: The Consortium for a Christlike Response to Mental Health. It is approved for tax exempt status as a public charity under section 501 (c) (3) of the Internal Revenue Code. Its North Carolina Solicitation License number is SL011230. At the core of that network are our board members, special advisors, and staff volunteers. As we move forward we will select a national advisory council, at least 1000 charter members, and 11,000 general members. We will maintain a commitment to represent proportionately the theological, cultural and geographic diversity of Christian faith communities in the U.S.
Our 12 board members keep us true to our mission and vision by providing governance, fiscal and legal oversight, policy development, and employee oversight, and support through their prayers and gifts. 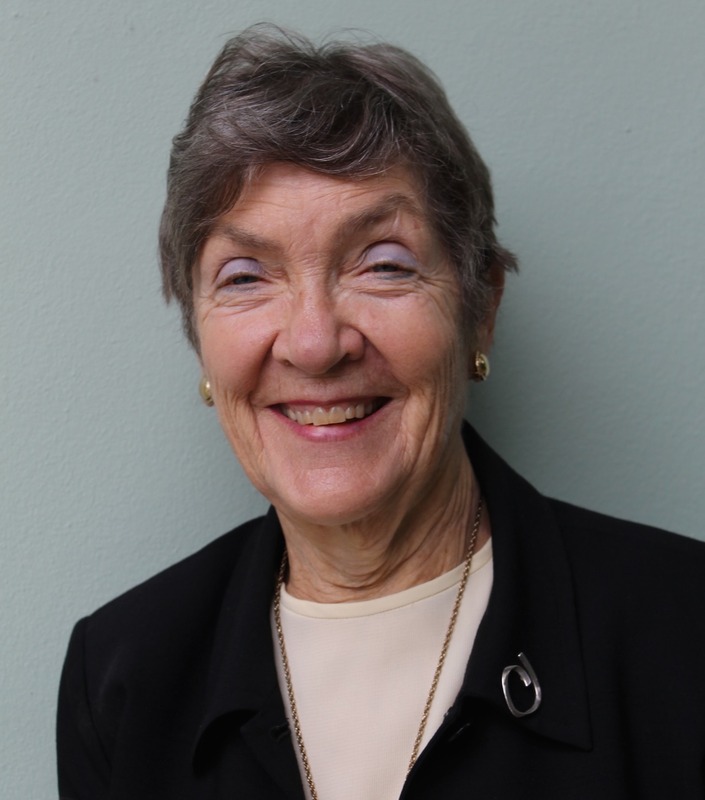 Jane became a licensed professional counselor following a long career as a clinical nurse manager and educator, followed by work in medical research and medical records analysis. 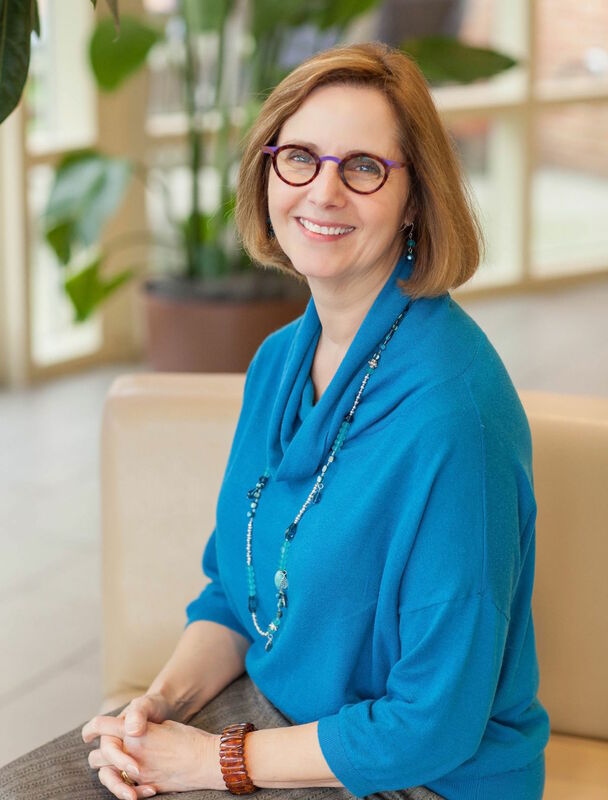 Building upon her medical experience and her Bachelor’s in nursing from The Ohio State University, Jane completed her master’s in community counseling at UNC-Greensboro and worked as a psychotherapist with her Christian faith as the foundation. She began retirement in January 2018 and along with her husband Mark is enjoying their three adult children and families, including grandson August, born November 2017. 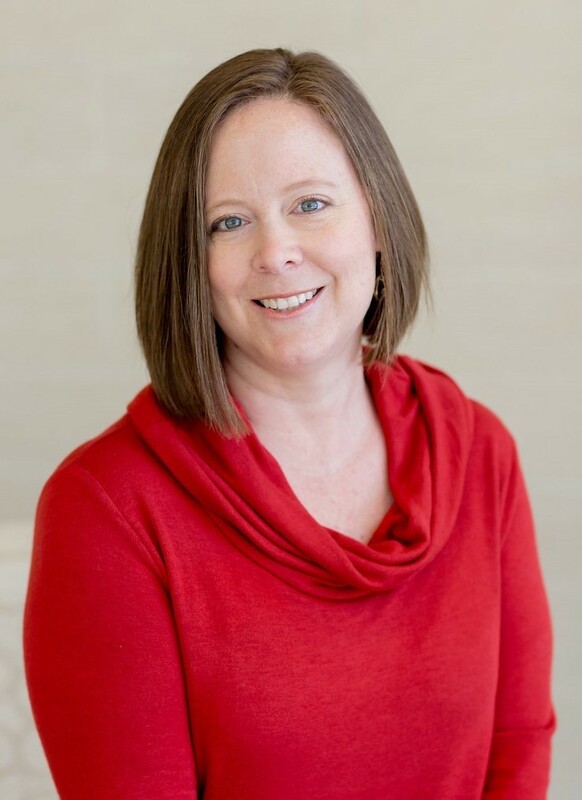 She and her husband Mark are active members of Lewisville Baptist Church and she is a facilitator in the Bipolar Support group ministry at First Presbyterian Church in Winston-Salem. Fredrica began her community leadership while growing up in Florence, SC. She earned a Bachelors of Arts degree in Psychology from Clark Atlanta University and a Masters of Arts degree in Community Counseling from Eastern Michigan University. 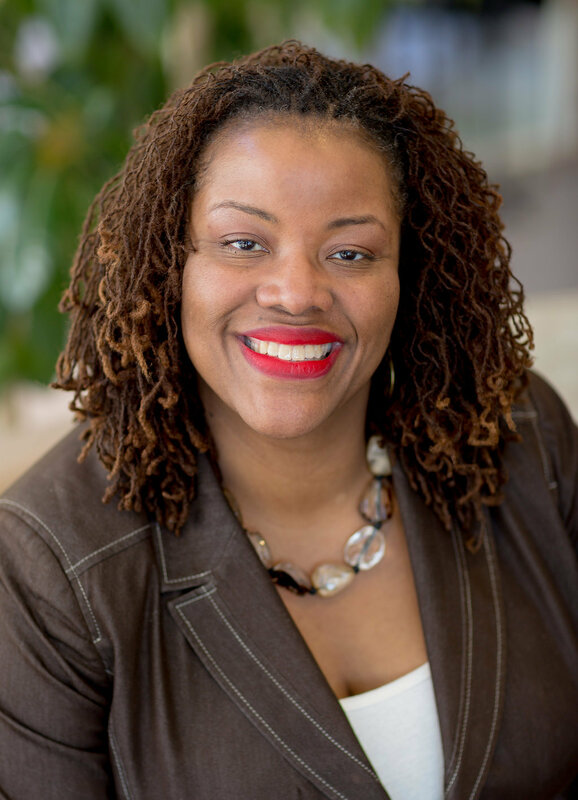 In 2003, Fredrica attended Regent University in Virginia Beach where she earned a Masters of Arts degree and a Doctor of Psychology degree in Clinical Psychology specializing in program development and consultation. Fredrica presently serves as the Co-Founder and President of the Brooks-Davis Institute for Brain Cancer Awareness and the Founder of Destiny Empowerment Consulting Services, LLC, a program development and consulting business. 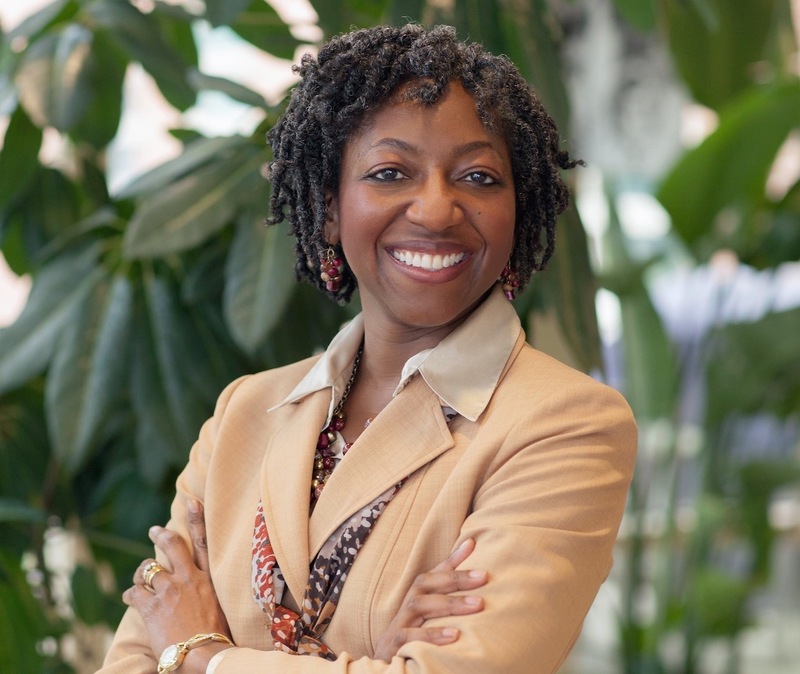 She also serves as the Executive Director of the Reid Temple Restoration Center, Inc., a church-based counseling center which she developed at the direction of her Senior Pastor, Reverend Dr. Lee P. Washington. Fredrica has published articles, presented at numerous professional conferences, and facilitated workshops and trainings in both the public and private sector. 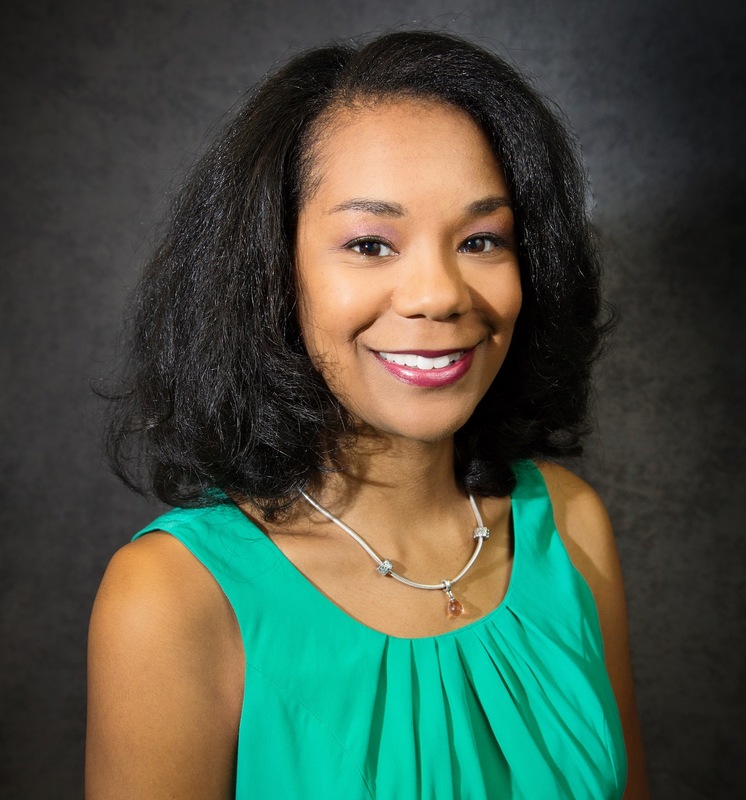 She is an Adjunct Faculty member in the Department of Psychology at Bowie State University and in the Masters of Arts in Christian Care Program at Capital Seminary and Graduate School. 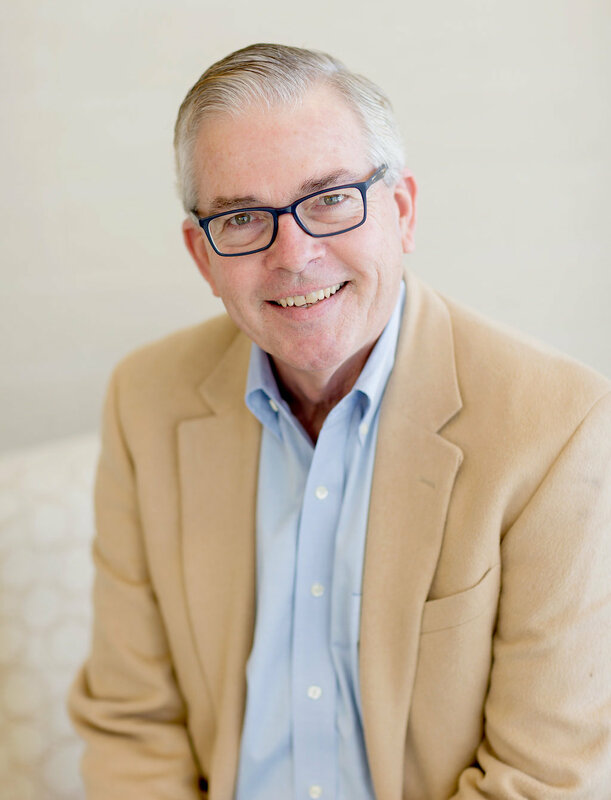 John is president of Burke Consulting, a role that allows him put to good use his four decades of experience as an international leader and entrepreneur in the workplace behavioral health field. 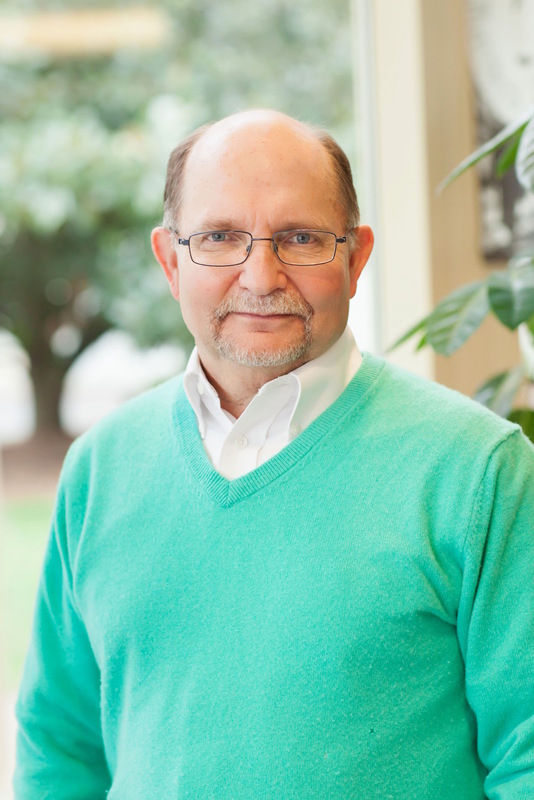 John received his undergraduate and master’s degrees in psychology at Appalachian State University and was a pioneer nationally in the development of Employee Assistance Programs (EAP) during his stint with NC’s Division of Mental Health. In the 1980’s he founded Burke-Taylor Associates. It became one of the Southeast’s largest EAP companies before being sold to Value Behavioral Health, for which John became Executive Vice President. 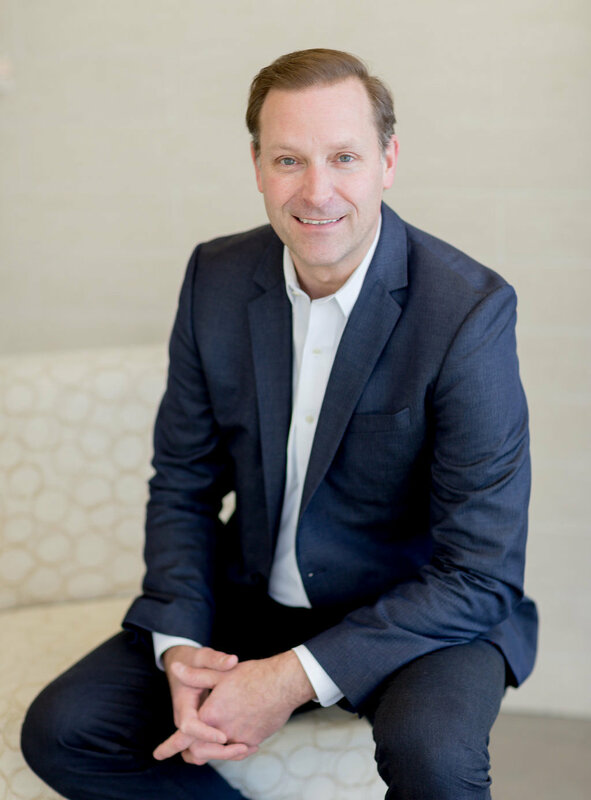 In 1998 he formed Burke Consulting, a consulting firm providing business development and mergers and acquisition services in the behavioral health space both domestically and internationally. This has enabled him to found two companies in the United Kingdom and invest and serve on boards of others in the U. S. John routinely presents at conferences and events around the country and internationally along with publishing articles in various professional journals. John and his wife Pam have two adult children and four grandchildren, and enjoy adventure vacations to many parts of the world. At home on the NC coast they are Associates of Emma Anderson Memorial Chapel, a unique non-denominational church in Topsail Beach. John’s career has taught him that including the spiritual side of a person, along with their bio/psycho/social sides, is the most impactful way to assist people with mental health needs. He believes the mission and vision of Minds Renewed is addressing what is often a void in national mental health care. 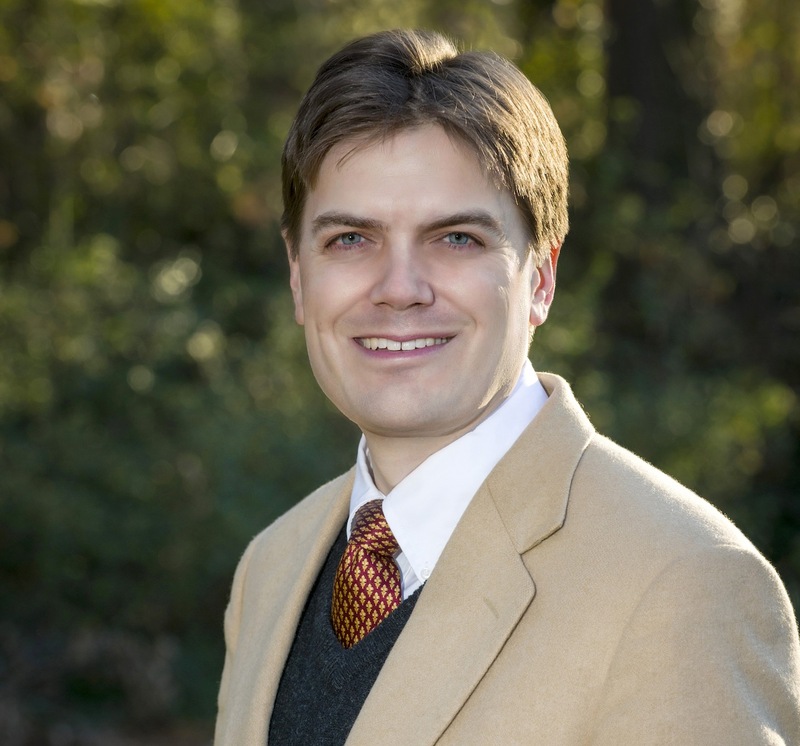 Northeast Tennessee native Patrick Harmon followed the Lord’s leading from college to seminary to the pastorate to the psychiatry department faculty of a major academic medical center. Patrick’s parents and Young Life nurtured his early days as a Christian. His college education took him to East Tennessee State and the University of Memphis. 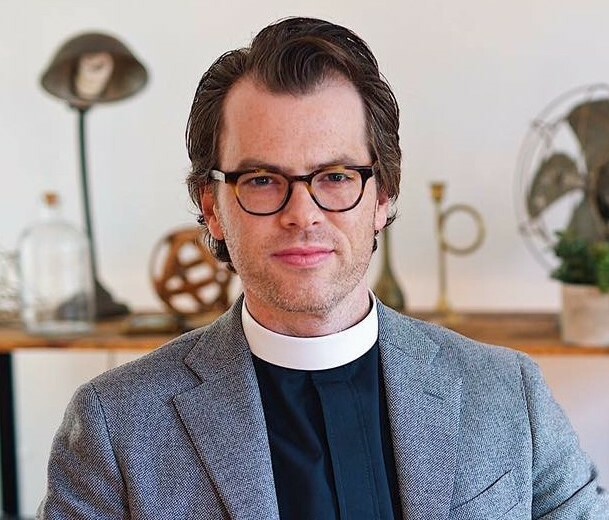 After receiving his Masters of Divinity from Reformed Theological Seminary in Orlando, he became a pastor in churches of the Presbyterian Church in America in Rock Hill, SC and Savannah, GA. Feeling a calling toward high school and college-aged students and their families, he received a doctoral slot at the Fuller Theological Seminary DMin program in Pasadena, CA focusing on Adolescent Psychosocial Development. A major vocational change came for Patrick when he moved to Cambridge, MA to pursue a Post-Baccalaureate Pre-Medical Master’s Degree at Harvard University. He later returned to finish his medical education at the Medical University of South Carolina, completing both his General Residency and Child and Adolescent Fellowship at Wake Forest School of Medicine in Winston-Salem where he now serves on the faculty. His clinical practice remains focused around College-Aged Mental Health and provides services to numerous educational institutions. Patrick and wife, Kitsie, are parents to five daughters with ages ranging from early teens to early twenties plus their newest addition, a toddler son. Steve leads Minds Renewed with the skills and experiences of a banker and chief financial officer (CFO) with 4 decades of experience. A Greensboro, NC native, he majored in business at NC State University and began a 25 year career in banking at several NC and VA banks. During that time he also received an MBA from Wake Forest and a master’s in Banking from LSU. 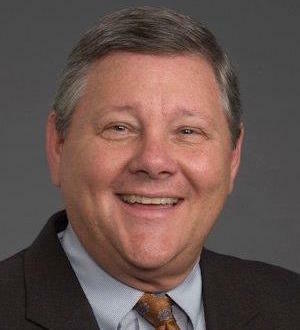 In 2001 he became the CFO for a client firm in Charlotte and served as CFO/Chief Operating Officer of another firm in Winston-Salem before retiring in 2014. Along the way his faith in God was tested and strengthened, especially through times of illness and loss. He and his wife Carol have a blended family with four adult children and four grandchildren. They are active members of First Presbyterian Church, Winston-Salem. As Minds Renewed builds in size and strength, Steve is also volunteering as the ministry’s CFO. Like many people with a deep faith, Yvonne has been well prepared to serve God through times of loss and uncertainty. She grew up in Danville, VA., in a family of modest means that stressed education. Inspired to be a teacher, she graduated from Winston-Salem State University and completed graduate studies at the University of Virginia. Some years later she received a second graduate degree, a master’s in Divinity from Wake Forest University Divinity School. Yvonne married Reverend John Hines, who became Senior Pastor of Mt. Sinai Church in Winston-Salem. She continued her teaching and raised their two children, and also cared for and reared three other children over a 20 year period. When her husband died in 1995, she was confirmed as Senior Pastor of Mt. 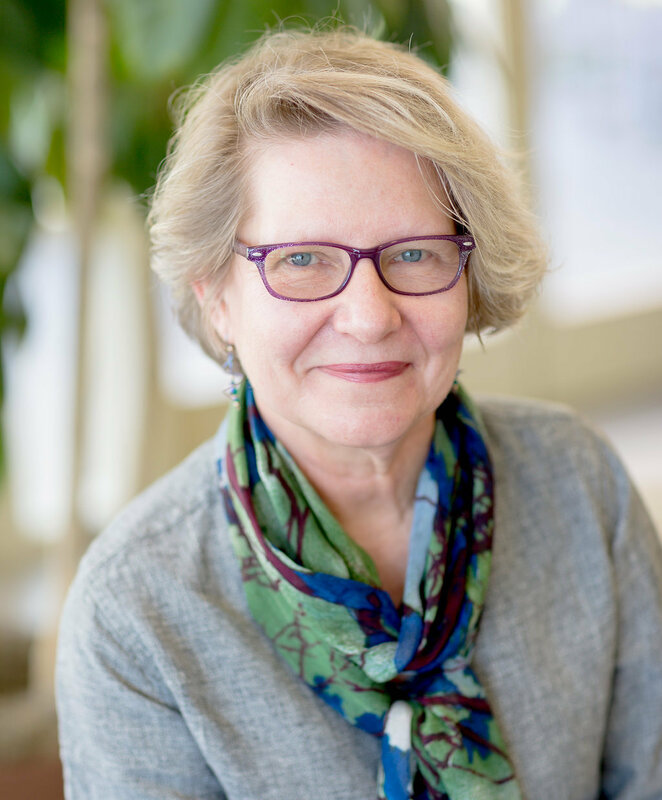 Sinai Church, where she still serves, along with serving on numerous community boards and as a consultant on conflict resolutions in congregational settings, international missions work, women in leadership roles and community uplift. Yvonne’s life was touched by mental illness most directly over the last decade when a close family member suffered a serious disorder. But she has also experienced the joy that came as God brought other believers around to support and pray for them during his recovery. 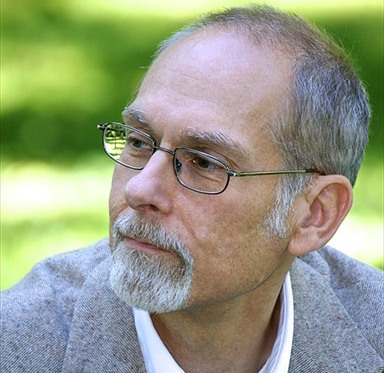 Psychiatrist James Kimball made the move south from his native New Jersey to continue his medical and academic career. A Drew University undergrad, he graduated from Rutgers Medical School before a residency at UNC Hospitals in Chapel Hill and a fellowship in psychosomatic medicine at Medical College of Virginia – Virginia Commonwealth University. Since 2003 he has been at Wake Forest Baptist Medical Center in Winston-Salem and has served in a variety of roles. In 2017 he was named an associate professor of psychiatry. His recent interests have been focused on global health and have included medical work in Mongolia and Macedonia. James credits his wife Sally’s encouragement and his participation in international missions sponsored by the Christian Medical and Dental Association for inspiring him to renew and strengthen his faith. He is active in Holy Family Catholic Church where he serves on the pastoral council and the St. Francis Club, and also serves through his parish’s chapter of the Knights of Columbus. 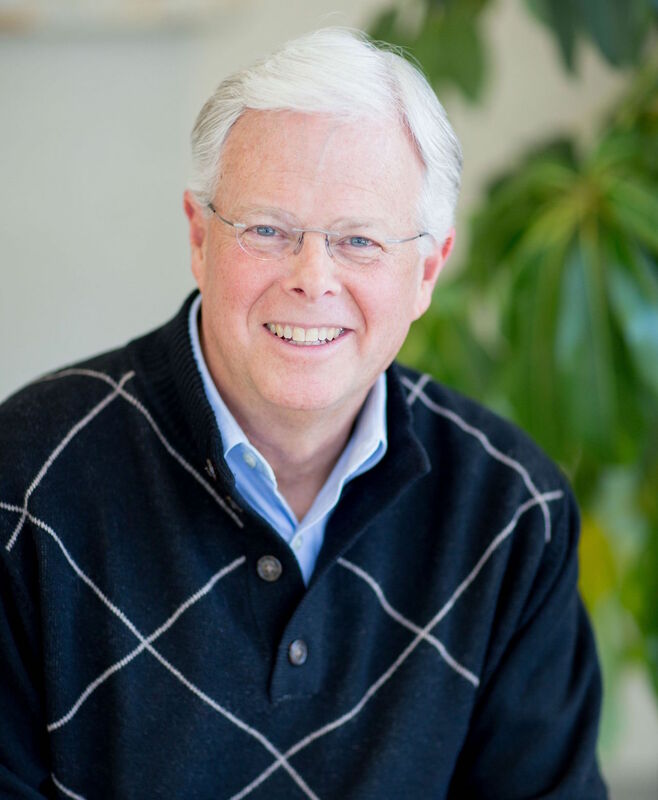 After a couple of decades of success in the technology world, Michael followed the Holy Spirit’s lead in the search for significance as he left that world to earn a PhD in Psychology to give back. During his experience working with difficult cases as a psychologist, he recognized that many with mental illness never receive treatment. This caused him to combine his first and second careers into a third as an entrepreneur in mental health. 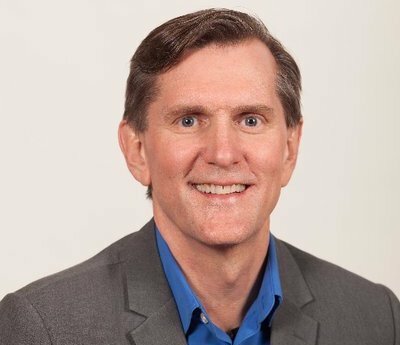 Today he is founder and CEO of WebPsychology.com, a company that offers evidenced based help for some of the most common mental health concerns. The company makes this help available for a low monthly cost equal to a Netflix subscription. Michael grew up in Wichita, KS and attended the University of Kansas and before receiving his MBA from the University of Denver. He traces his spiritual roots to an unexpected encounter with the Lord in a Southern Baptist church in 1975, and 40 years of mentoring by an amazing man of God who once led one quarter of the country for Young Life. 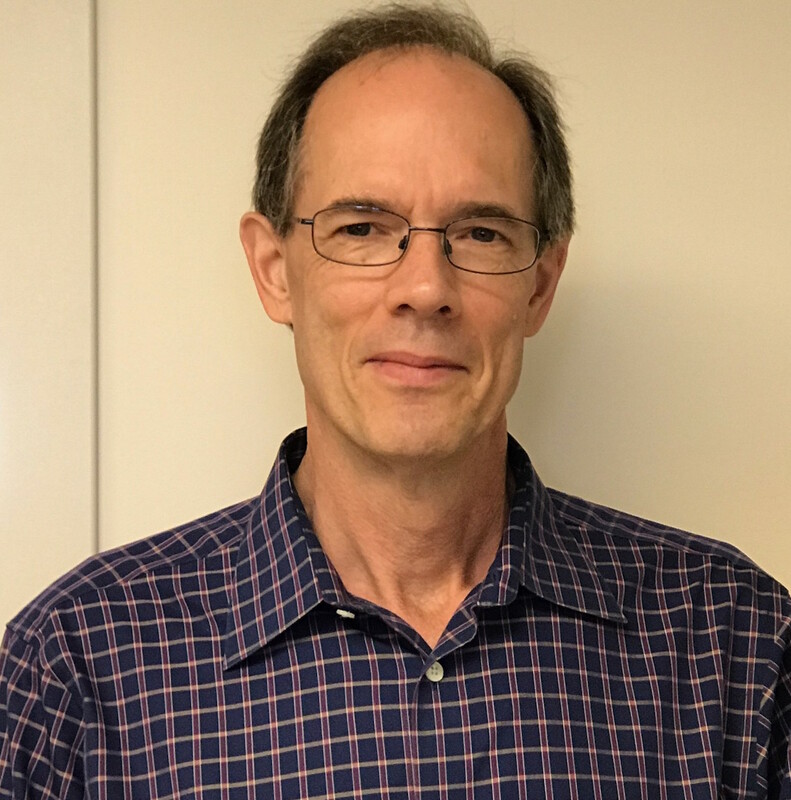 In his 50's, after working with the likes of Apple and WebEx, Dr. LeBlond left a lucrative career in the booming computer technology field to starting graduate work on a PhD. Receiving that degree at the University of Northern Colorado allowed him to work in a state psychiatric hospital, mental health court, skilled nursing facility, and with individual clients. With WebPsychology.com, he is now seeking to serve the 50% of people with depression who do not get the help they need. He is removing barriers by providing a web-based cognitive behavioral therapy self-paced path that offers the help, hope, and tools for behavioral change. Having moved to Florida, Michael and wife Joanne enjoy being closer to her family and only joke about being semi-retired. When Vaughn met with a new patient in 1997, neither suspected that 16 years later they would be co-founding a ministry. Vaughn is a Winston-Salem native whose undergraduate degree, medical school education and psychiatry residency were completed at Duke University. He also served as a psychiatrist and junior faculty member at Duke Medical School. In 1991 he joined the psychiatry faculty of Wake Forest Baptist Medical Center and rose to chair the Department of Psychiatry and Behavioral Health. In 2012 he was named Case Distinguished Chair of the Department of Psychiatry and Human Behavior at Medical College of Georgia (Augusta University). In 2013 he became Minds Renewed’s Founding Chair. Members of Aldersgate United Methodist Church, he and his wife Dawn have three adult sons. He credits the evenings he spent reading the Children’s Bible aloud to his sons with prompting a lasting spiritual re-awakening. Amy is deeply committed to seeing purposeful people make the most of their gifts and opportunities. 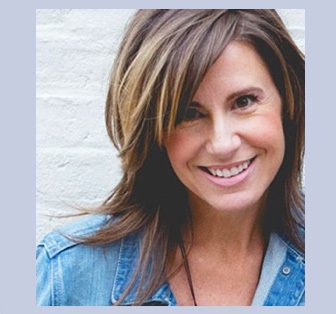 As an acquisitions editor for Moody Publishing, author, speaker, and leadership coach, she helps people get clear on their calling and fully engage in life with guiding purpose. She is author of the award-winning books, Blessed Are the Unsatisfied: Finding Spiritual Freedom in an Imperfect World, Troubled Minds: Mental Illness and the Church's Mission, and Anxious: Choosing Faith in a World of Worry (all InterVarsity Press). Amy loves to travel with her husband, Trevor, their two teenage girls, and their lovable dogs, Rosie and Sam. She lives with these wonderful folks in the suburbs of Chicago, where she is committed to perfecting her dry sense of humor and reading nearly everything she can. Michigan native Judy Smith graduated from the University of Michigan School of Nursing. She worked in several nursing roles, the longest of which was as 17-year stint as the school nurse for a large suburban Chicago high school. She and her husband Harold have two adult sons. Her role as a supportive spouse took on new dimension when Harold, who joined the global media ministry of Christianity Today in 1984, was named its president and chief executive officer in 2007. Together they travel throughout the US and many other countries for discussions with Christian leaders. 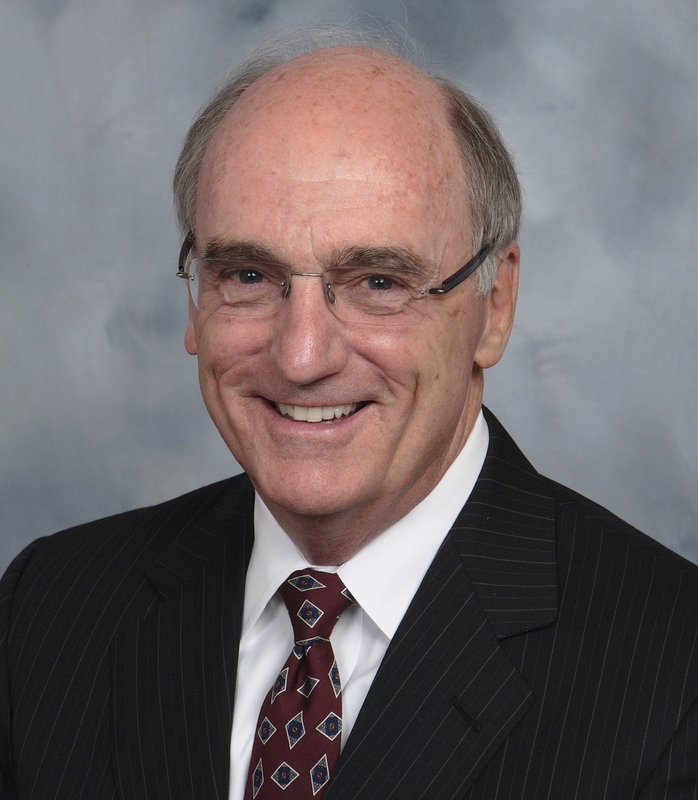 Faith in God, hard work, a dedicated work force, and the loving mentorship and leadership of his father helped John Vann build and run a successful contract research organization serving the clinical research needs of the pharma and biotech worlds. John joined several generations of Vann family members as he graduated from Wake Forest (where he has served as a Trustee) before returning to Bristol to become a banker and computer service bureau rep to start his career. 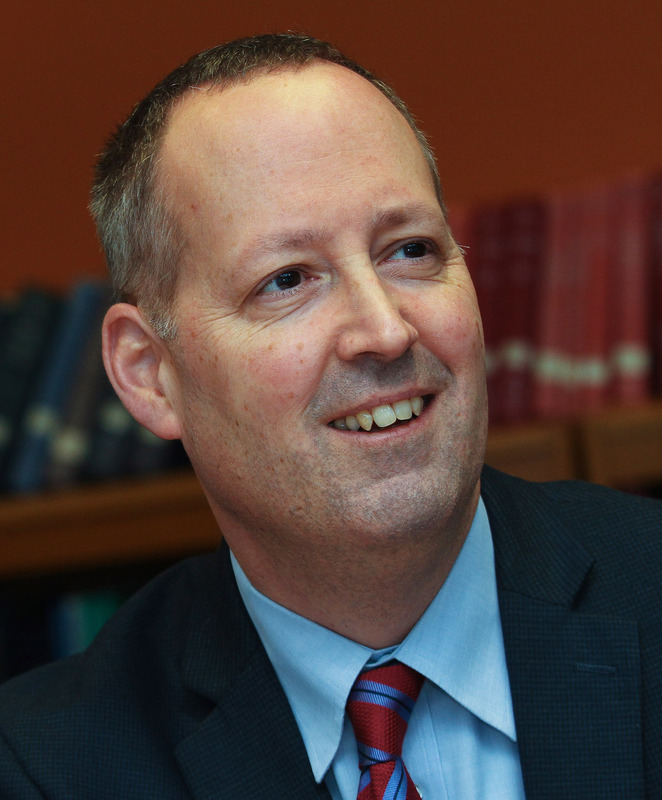 He joined his dad and a colleague in the 1990 founding of CTMS, a clinical research provider. He was CEO there when his company merged in 2007 with British-based Chiltern, allowing it to have international impact and John to oversee Chiltern’s US and Latin American operations as well as global marketing, business development and new partner acquisition. In 2012 he was led to step away from business and allow his experiences to be used in other ways. Principal among these are a range of church and community positions, including serving as a business advisor through the Summit Companies in Bristol, providing consulting services to small businesses and pro-bono services to non-profits. Today John is primarily applying his skills and wisdom to non-profits to which he’s drawn, including Minds Renewed. He and his wife Karen are active in their church’s mission partnership with a church and school in northeast Brazil, where they have traveled nearly every year since 2001, and as facilitators with Wycliffe Associates in short term Bible translation missions. The Vanns have four children and eight grandchildren. Our special advisors provide wise counsel, specific knowledge, and broad networks of contacts as they help us help others. They have specific responsibilities for advising us on nominees for our national advisory council and other positions and on content for our web portal. Members also provide financial and prayer support. 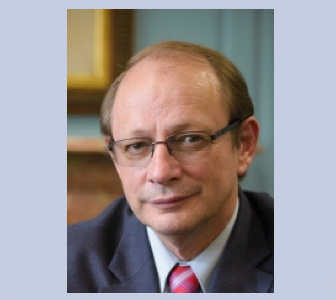 This group will grow to 50 members and represent the diversity of Christian faith communities in the U.S.
Chris is the director of the Mood Treatment Center, editor in chief of The Carlat Psychiatry Report, and is an instructor at Wake Forest School of Medicine. He is the author of Bipolar, Not So Much, a 2017 self-help book that focuses on natural recovery for mood disorders. He is a founding board member of Minds Renewed and completed his medical training at Yale, Cornell, and Duke. Chris believes that stress and mental illness can wear away at people’s values, and that faith offers a path to healing. He is encouraged that full recovery from most mental illnesses is possible and -- though the challenge is great -- he often sees people come out of it with a stronger and more personal connection to their maker. MTS, Duke University Divinity School; MA and PhD, University of North Carolina. President, North Carolina Psychological Association, 2017-2018. Dean, MA in Christian Counseling Program, Apex School of Theology. Minister of Congregational Care and Counseling & Stephen Ministry Leader, Union Baptist Church. Recording artist and author, Blossoming Hope: The Black Christian Woman’s Guide to Mental Health and Wellness (2018). JD, University of North Carolina. Summer graduate programs, Stanford and Harvard Business Schools. Serial entrepreneur in information technology, education, and ministry. In 2014, 2015, and 2016, Cherwell Software was recognized as one of the fastest growing companies in North America. 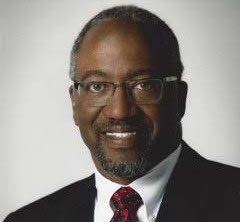 Board Certified General Adult Psychiatrist; Medical school: Northwestern University Feinberg School of Medicine; Residency: University of South Carolina/Palmetto Health-Richland Hospital; Member of the Dean's Advisory Council-Virginia Tech Carilion School of Medicine; immediate past chair of American Medical Association-Minority Affairs Section Governing Council. MA in Professional Counseling, Liberty University; PhD in Christian Counseling, Christian Bible College. Has provided executive leadership for behavioral health services in public and private settings, large integrated hospital systems as well as smaller residential, outpatient, in-home, and community-based settings. Currently serves in a regional healthcare system as Vice President of Counseling and Community Partnerships. Also serves as Volunteer Chief Administrative Officer for Minds Renewed. His professional interests include speaking on topics related to the integration of spirit/soul/body, and spirituality and mental health. With the experience of growing up a minister’s son, he spends time consulting with church leaders on how to transform their church/place of worship/spiritual congregation into a safe place for those struggling with mental health. Recognized as a dynamic speaker, ordained minister, published author, professional counselor, and master life and business coach. 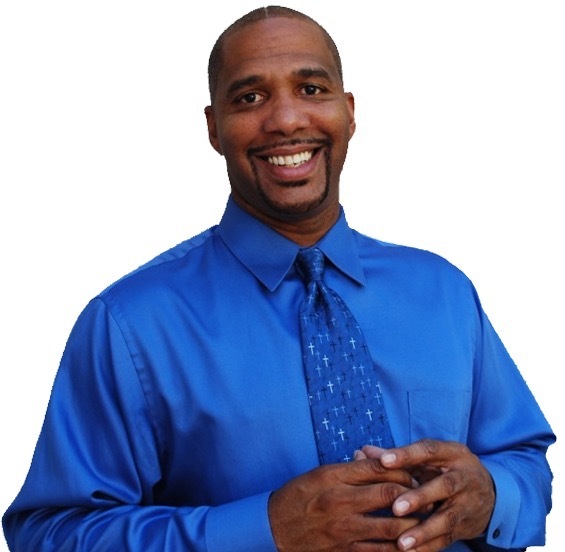 Known for his work on multicultural and racial reconciliation coaching, counseling, and consulting. 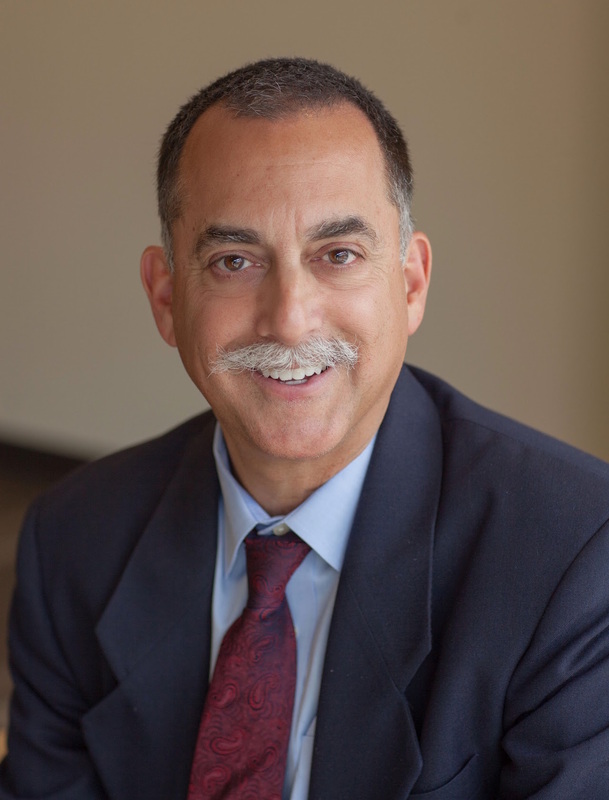 As the Executive Director for the multicultural division for The American Association of Christian Counselors (AACC), he helped create several cultural competency video-based trainings, including Racial Reconciliation and Healing. 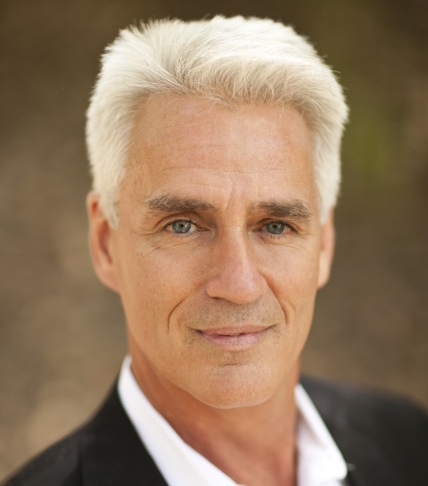 Founder of In The Zone Coaching Counseling Consulting based in Los Angeles. Uses his experience as two-time Olympic champion hurdler to counsel and teach in way that are encouraging, biblically sound, clinically sound and easily applicable. 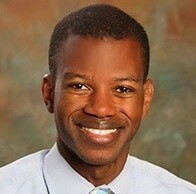 MD, University of North Carolina; general residency and chief resident at Harvard University’s Massachusetts General Hospital (MGH)/McLean Hospital Adult Psychiatry Residency Program. Also serve as Assistant Professor of Psychiatry and the Associate Dean for Admissions for the Medical College of Georgia at Augusta University in Augusta, GA. Special interests include the intersection of spirituality and psychiatry, disparities in health and achievement that disproportionately affect underserved communities, strength-based approaches to building resilience, and faith- and community-based approaches to addressing disparities in mental health. MD, Meharry Medical College. Triple board-certified Diplomate of The American Board of Psychiatry and Neurology. Residency in General Psychiatry at The University of South Carolina School of Medicine. Sub-specialty fellowship training in Child and Adolescent Psychiatry and Chief Fellow at The University of Illinois at Chicago School of Medicine. Sub-specialty fellowship training in Forensic Psychiatry at Emory University School of Medicine. A board-eligible professional Christian counselor through The American Association of Christian Counselors. Adjunct Professor at Richmont Graduate University, frequent presenter at numerous professional conferences, and heavily involved in community outreach targeted mainly at diminishing the stigma of mental illness and heightening public awareness. Practices psychiatry from a Biblical perspective by using The Word of God as the foundation for treatment. MDiv, STM, Yale Divinity School; PhD, Yale University. 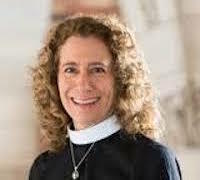 Priest Affiliate at Christ Church, New Haven, CT. Episcopal priest in the Diocese of Connecticut; noted author, known especially for her book on mental illness and the Christian life, Darkness is My Only Companion: A Christian Response to Mental Illness (2006; revised edition introduced by the Archbishop of Canterbury, Justin Welby, 2015). A New Haven area mental health lay leader with NAMI and Yale New Haven Health. MDiv, Concordia Seminary, St. Louis. Ordained Lutheran pastor since 1984. Founded Fresh Hope after personal mental health challenges. Fresh Hope provides an international network of Christian mental health support groups that empower people with a mental health diagnosis, along with their loved ones, to live well despite mental health challenges. Also offers extensive resources online and a mental health podcast with 37,000 listeners. Chairs the Advisory Committee for Mental Health for the Governor of Nebraska. Author, Fresh Hope: Living Well in Spite of a Mental Health Diagnosis. MA, Appalachian State University; MA, Western Conservative Baptist Seminary; PsyD, George Fox College. 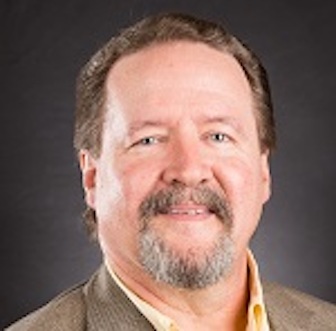 Serves on Executive Board of the Society for Christian Psychology; served previously as Clinical Director of the International Board of Christian Counselors of the American Association of Christian Counselors (AACC). Speaks frequently at conferences, seminars and retreats. MA, Calvin College; PhD Michigan State University. Experience in Pastoral Counseling and as a Professor of Psychology and Professor of Pastoral Care. Executive Board of Society for Christian Psychology. Publishes frequently in books and professional journals, and often speaks at professional conferences. MA, MDiv, and PhD from Southwestern Baptist Theological Seminary and PhD from University of North Texas. Active in the field of counseling for over 35 years as a counselor, educator, scholar, writer, and leader of professional and academic organizations in both the US and other countries. RSCJ, PhD She is a member of the Religious of the Sacred Heart, an international congregation of Catholic women religious that lives out its vocation in the service of education. Her area of expertise in her faculty service is religion and spirituality in the clinical context. For thirty-five years, using a model she created, she has led groups on spiritual beliefs and values for adults with psychiatric disabilities. She presents frequently at regional, national, and international conferences. Many have praised her 2009 book: Wrestling with Our Inner Angels: Faith, Mental Illness and the Journey to Wholeness. MD, Harvard Medical School; MTS and ThD at Duke University Divinity School. 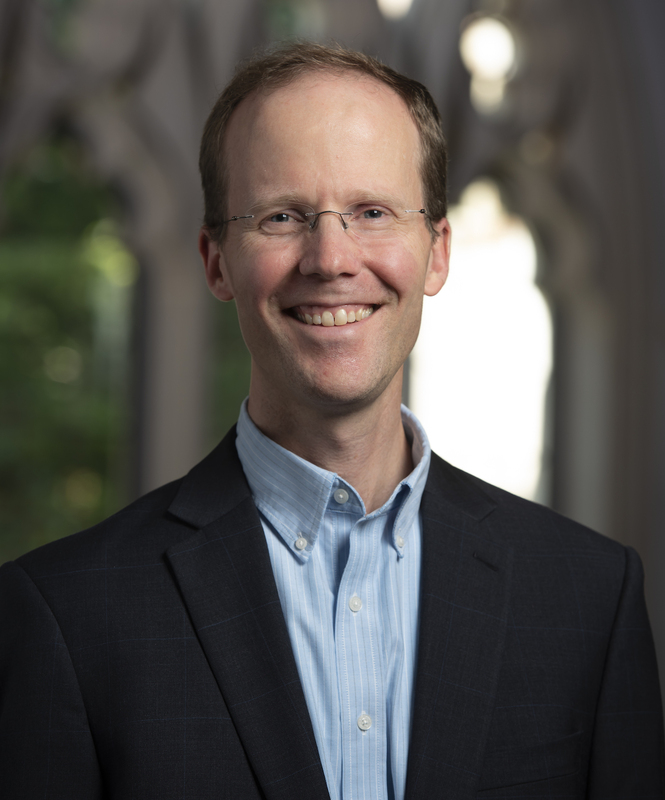 He is a psychiatrist and Christian theologian, currently practicing at the Durham VA Medical Center and teaching at Duke University School of Medicine and Duke Divinity School. He cares deeply about the way that churches and Christian communities understand mental health problems and walk with people with mental illness. He is also co-director of the Theology, Medicine, and Culture Initiative. He frequently speaks at professional conferences and publishes in professional journals. MD, University of Michigan. Residency at Duke followed by positions on the Psychiatry faculty and as Medical Director of Inpatient Psychiatry Units at the University of Kentucky. In private practice since 1986 in Atlanta area. American Association of Christian Counselors Executive Board member and frequent conference speaker. Has held medical leadership positions in inpatient, outpatient and partial hospitalization programs for psychiatric and addictive disorders. Also, has provided psychiatric services in federal and state correctional facilities, state psychiatric hospitals and psychiatric consultation/liaison services in general hospital settings. Joe received the Certificate in Spiritual Formation, Columbia Theological Seminary and the Certificate in Spiritual Formation, Renovare’ Institute. 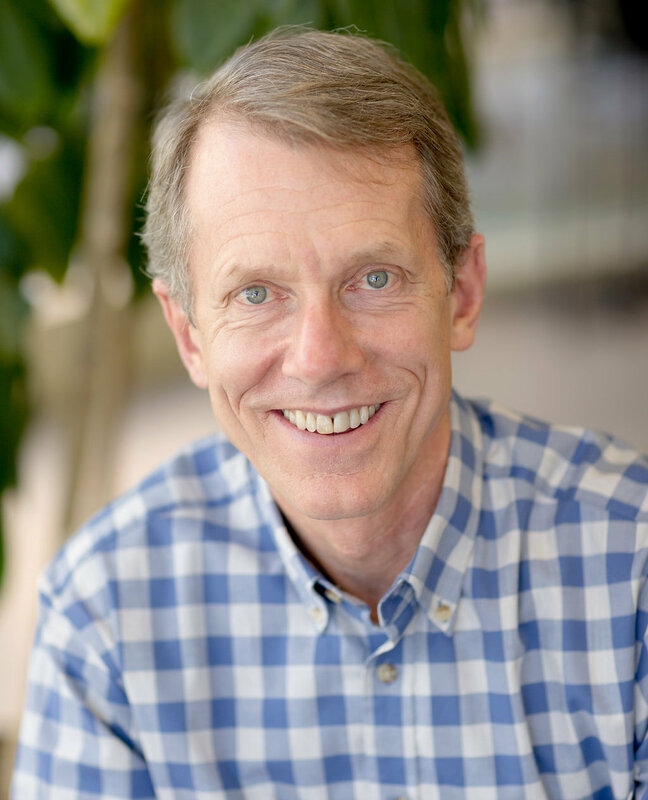 For many years he served as Intervarsity’s National Co-director of Spiritual Formation and Prayer. For Minds Renewed he serves as a chaplain and consultant for the work of Minds Renewed staff. Baylor graduate and an ordained minister who worked with Antioch Ministries International (AMI) in Asia, Africa, Europe and the U.S. Leads The Grace Alliance in carrying out its mission to “build peer and lay-led mental health recovery resources, support programs, and training accessible and affordable to anyone, anywhere, anytime.” The ministry offers over 100 groups across and outside the U.S. Co-authored with Matthew Stanford (PhD) The Grace Alliance’s mental health recovery coaching curriculum, mental health support groups, and mental health trainings for clergy leaders. Frequent speaker in academic, community, and church-based setting. Has provided mental health coaching and consulting for individuals and families experiencing mental health distress. MA, University of Missouri-Kansas City; MA, PsyD, Rosemead School of Psychology, Biola University. Dually trained and credentialed in both theology and psychology, Jared is a third-generation minister and a licensed clinical psychologist. He is Executive Vice-President of Choose Grace International (choosegrace.com) as well as serving the AACC. 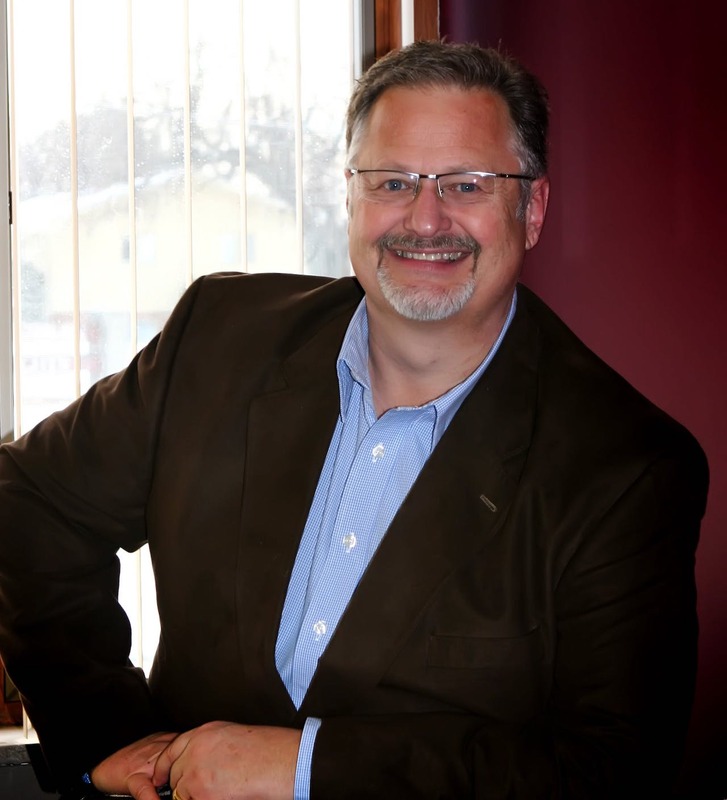 In professional practice since 1977, Jared was formerly Director of Counseling Services at Focus on the Family and specializes in the integration of psychology and Christianity. 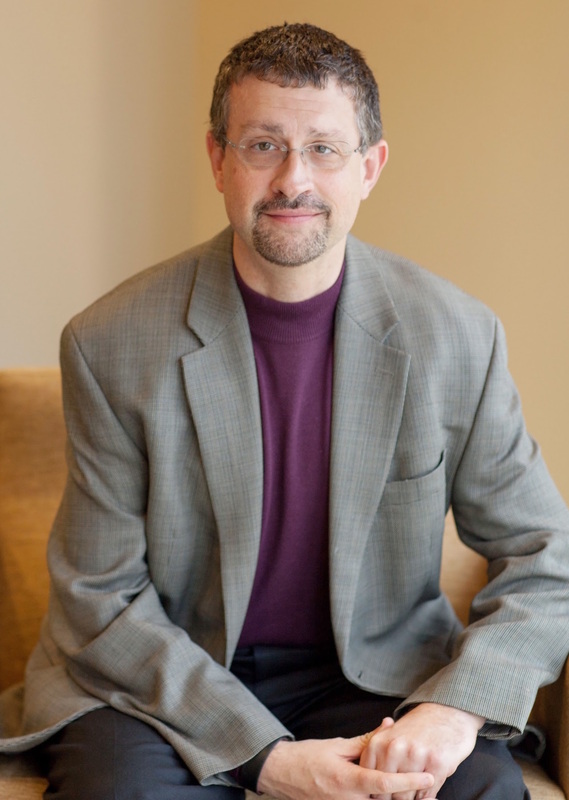 He has taught at several Christian universities and seminaries, is a noted speaker and author (of seven books), and recently co-edited The Struggle is Real: How to Care for Mental and Relational Health Needs in the Church. MDiv., Andover Newton Theological School. Led task forces related to mental health for the Interfaith Disability Advocacy Coalition (IDAC), a program of the American Association of People with Disabilities, and the Mental Health and Faith Community Partnership, a project of the American Psychiatric Association and the faith community to end the stigma associated with mental illness. 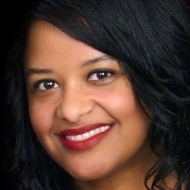 Constance Rhodes - Founder & CEO, FINDINGbalance, Inc. Founder and CEO of FINDINGbalance, a Christian non-profit helping people find freedom from eating issues since 2002. Frequent speaker on themes of eating disorders, body image, and identity issues. Author, Life Inside the 'Thin' Cage and The Art of Being. Practical Theology Diploma, Christ for the Nations Institute. MDiv, Mid-America Baptist Theological Seminary; MS in Conflict Management, Sullivan University; DMin in Preaching and Soul Care, The Southern Baptist Theological Seminary. Senior Pastor at LaGrange since 1993. In 2014 and 2015, was chairman of the Mental Health Advisory Group to Dr. Frank Page, president of the Executive Committee of the Southern Baptist Convention. The working group reported on how Southern Baptist Churches and entities were serving individuals and families that were suffering from the difficulties of mental illness and suggested ideas on how they might care for and serve these hurting people more effectively. MDiv, LPC, and PsyD. Provides leadership to CareNet, a statewide spiritually integrated psychotherapy and counseling network comprised of 35 clinics. Also teaches and supervises Psychiatric Residents in psychotherapy. As ordained clergy for 40 years he has served the church as Senior Minister, Associate Minister and Minister to Youth. A graduate of the University of Michigan, he joined Christianity Today in 1984 and was named to the top position in 2007. Has led efforts to make it a dynamic global media ministry that reaches 5 million people per month. Has overseen the transition from primarily print to linking web, mobile, and tablet technologies to print to expand the reach of the ministry and its message of Good News. Married to Judy, the Chair of the Minds Renewed board, Harold is half of the “first couple” of Minds Renewed’s ministry. Graduated from Wake Forest in anthropology and physics. 30 years of experience as University Advancement’s leader in adapting ever-changing technology to the ever-increasing demands for more effective communications with and among constituents, secure and responsive methods of fundraising and friend-raising, and powerful delivery devices that go everywhere. Minds Renewed board member, 2014-2017. Serves on Educational Advisory Board and Product Advisory Group for Blackbaud, the world’s leading cloud software company powering social good. He regularly provides advisory services for non-profit organizations. MA, PhD, Baylor University. Also adjunct professor in the Department of Psychiatry and Behavioral Sciences at Baylor College of Medicine and the Department of Psychology at the University of Houston. Formerly Professor of Psychology, Neuroscience, and Biomedical Studies at Baylor University and Associate Professor of Psychology at the University of New Orleans. 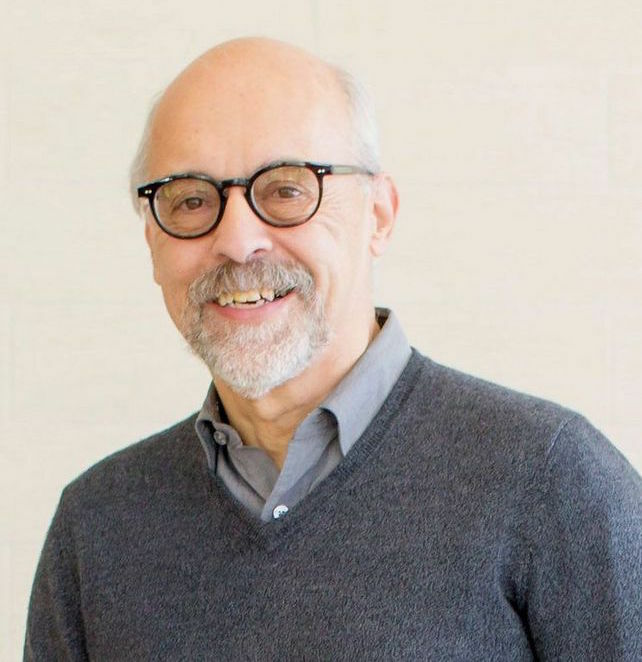 His research and his two books on the interplay between psychology and issues of faith have been recognized frequently in national publications. Co-founded and served as executive director of the Mental Health Grace Alliance. MD, Duke University. Residencies in family practice, psychiatry, and addiction, Wake Forest University Baptist Medical Center. Private practice for several years, then five years as medical director for a large regional publicly funded behavioral health provider. He and his family also served through extended medical and educational missions trips to Kenya. Co-founded the Amani Children’s Foundation to provide funding for New Life Homes, a Kenya-based ministry that supports abandoned children of that region. MSW, University of Iowa. Career includes direct clinical involvement (inpatient and outpatient) and leadership of a 5,000 member Critical Incident Response network. Currently leveraging behavioral health expertise to support business and ministry initiatives. Pine Rest is a psychiatric hospital and behavioral health provider with a main treatment campus located in Gaines Township, Michigan and about 20 outpatient locations in Michigan and Iowa. It is one of the largest free-standing behavioral health providers in the U.S.
MA Theology & PhD Clinical Psychology from Fuller Theological Seminary. Director Emeritus, Associates in Christian Counseling (ACC); Assistant Professor, Graduate Counseling Program, Liberty University. Founded and directed ACC (1991-2013); Faculty of Liberty 2006-present. JD, MTS, MS in Counseling Psychology, Southern Methodist University. Episcopal priest and writer. Practiced law before being called to teach and preach. Served at All Saints’ Episcopal School before current position. Author of Broken and Centurion: Mark’s Gospel as a Thriller. MD and Past Member of Royal College of Psychiatrists (UK). Doctor and Psychiatrist for 11 years in England; Counselor and Director of L'Abri Fellowship in England for 14 years. Associate Pastor of International Presbyterian Church in England for 8 years. Professor of Applied Theology and Counseling + Psychotherapist, St Louis, MO for 24 years. 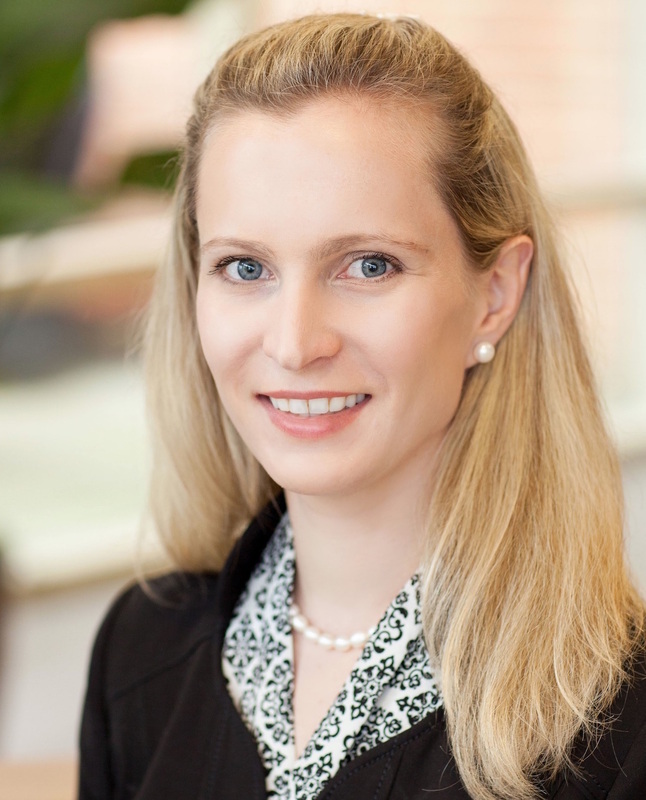 MD from Cairo University; residency and fellowships at the medical centers of South Alabama, Yale, Duke, and the Durham (NC) VA. Extensive experience in mental health with special focus on treatment-resistant disorders; special focus on mood disorders and suicide prevention, and PTSD and resilience. While there will be paid staff needed as Minds Renewed grows, currently nearly everyone serving is a volunteer. They are sharing their time, talent, and treasure to honor God by serving those who are impacted by mental health concerns and addictions. 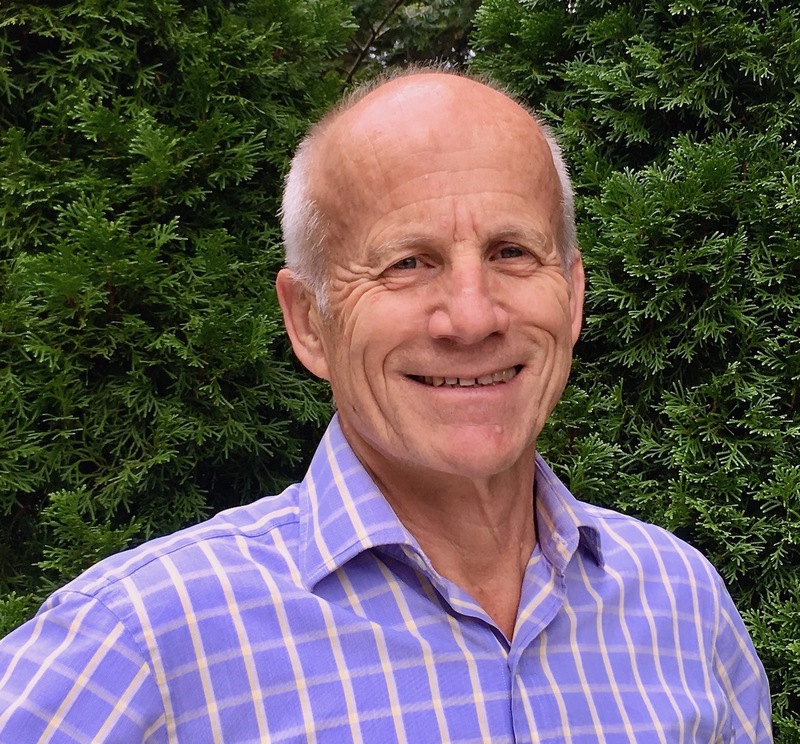 Bob brings to role of founder and director the skills from a 40 year career in constituent relations and fundraising and the perspective of a fellow searcher for mental and spiritual well-being. Bob received his BA from Wake Forest and immediately began his career there. Along the way he received an MBA from Wake Forest and led a wide range of programs in alumni and parent relations, annual funds, capital campaign direction, major and estate gift planning, and university planning. From early days he developed an appreciation for the power information technology brought to improving communications with and among constituents, and was a leader as the school’s innovative and entrepreneurial applications of technology won national acclaim. 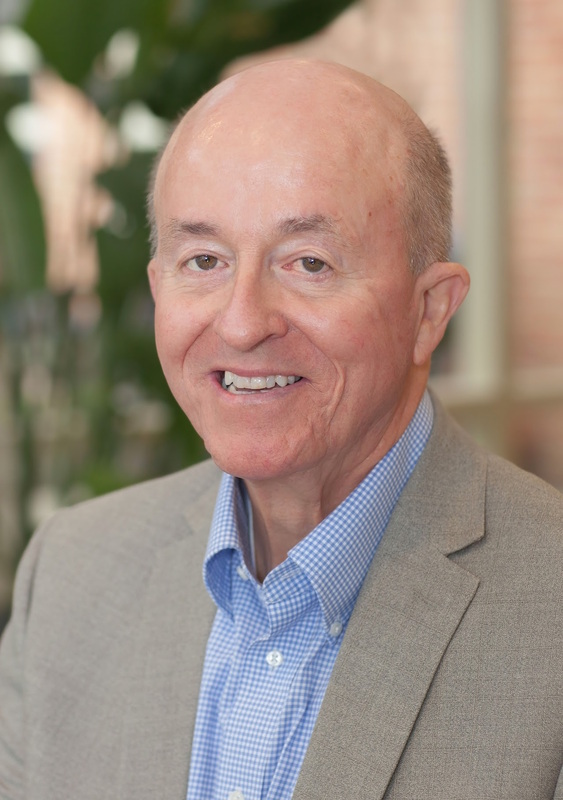 In 2013 he retired as Associate Vice President, Advancement to found Minds Renewed after research proved there was no central place on the web for people to find easy access to the best mental health resources generally and to Christ-centered resources particularly. Bob’s desire to honor God through serving the suffering grew out of his own experience with bouts of depression and bipolar disorder. 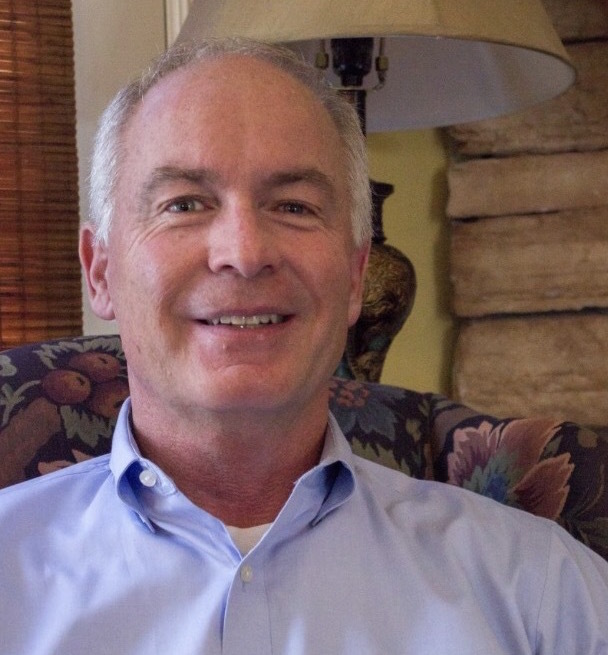 He served on the board of Associates in Christian Counseling for 20 years and has facilitated a bipolar support group ministry he founded at his home church, First Presbyterian of Winston-Salem, since 2001. 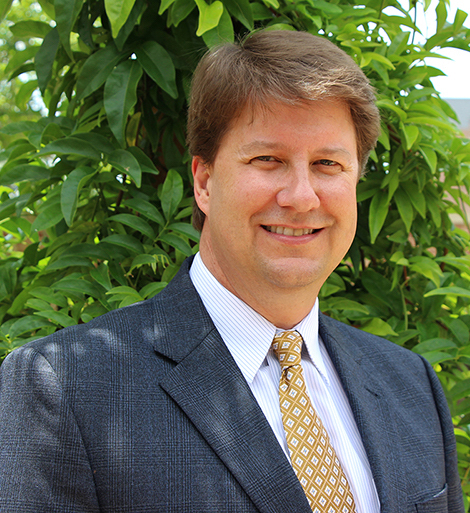 A Special Advisor since Minds Renewed’s 2013 creation, Todd stepped up his leadership to become our CAO in 2016. 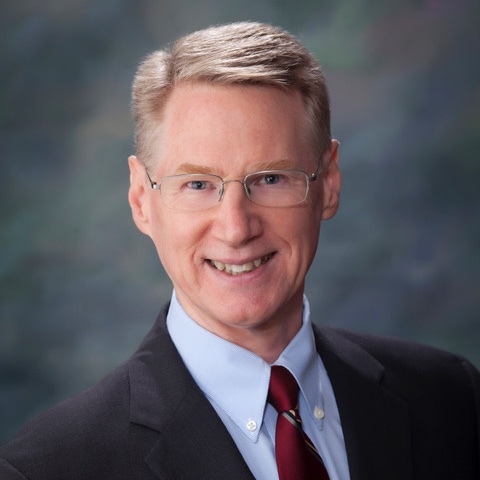 He brings to the role over 25 years of executive leadership and experience in behavioral health services in public and private settings, large integrated hospital systems as well as smaller residential, outpatient, in-home, and community-based settings. Currently he is Vice President, Counseling and Community Partnerships for Hospice & Palliative CareCenter headquartered In Winston-Salem. 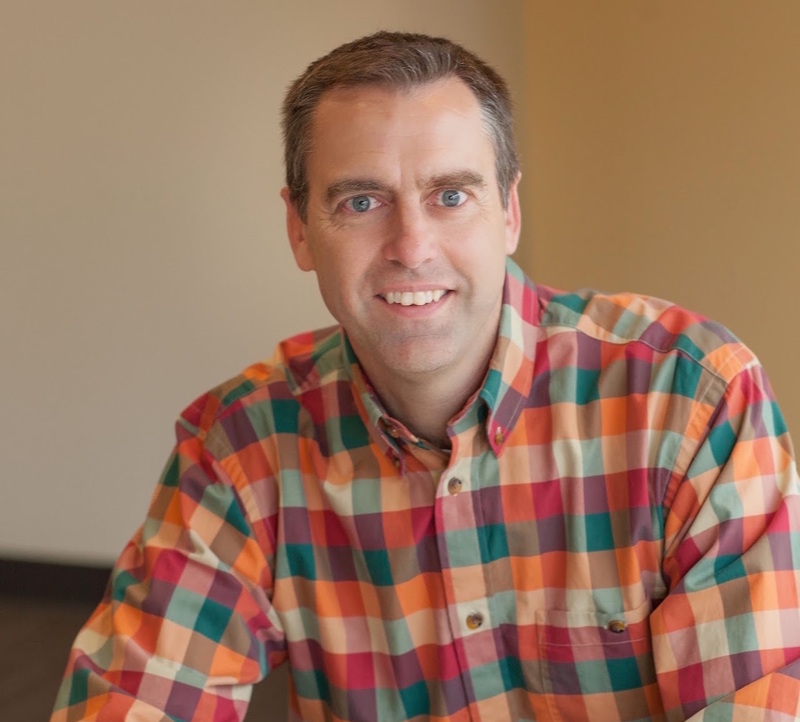 Todd received undergraduate degree and MA in Professional Counseling at Liberty University and his PhD in Christian Counseling from Christian Bible College. He and his wife Andrea have two school-aged children, and much of their free time is devoted to family and church activities. A Piedmont NC native, Todd’s call to serve others through behavioral healthcare and Minds Renewed is rooted deeply in a family and personal love for Jesus from an early age. He writes that he is excited and honored to see what God will do with our team, the vision He has laid on our hearts, and bringing hope to those in need. Rebekah, a Winston-Salem native, is Minds Renewed’s Research Associate on its African American Initiative. 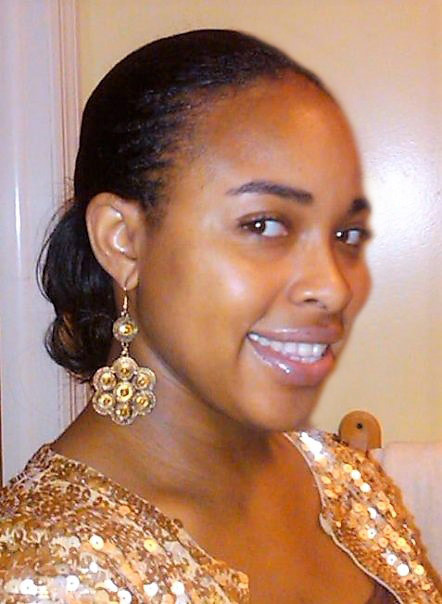 She received a Master's in Psychology with a Clinical Concentration from North Carolina Central University. 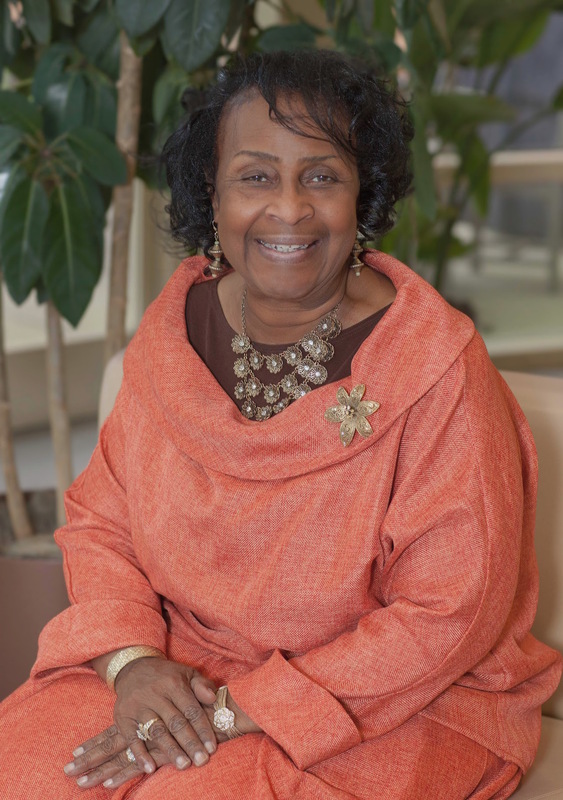 During her tenure at the university, she was an intricate part of numerous research studies and grant projects on program efficacy, student success, African American well-being, spirituality and mental health. 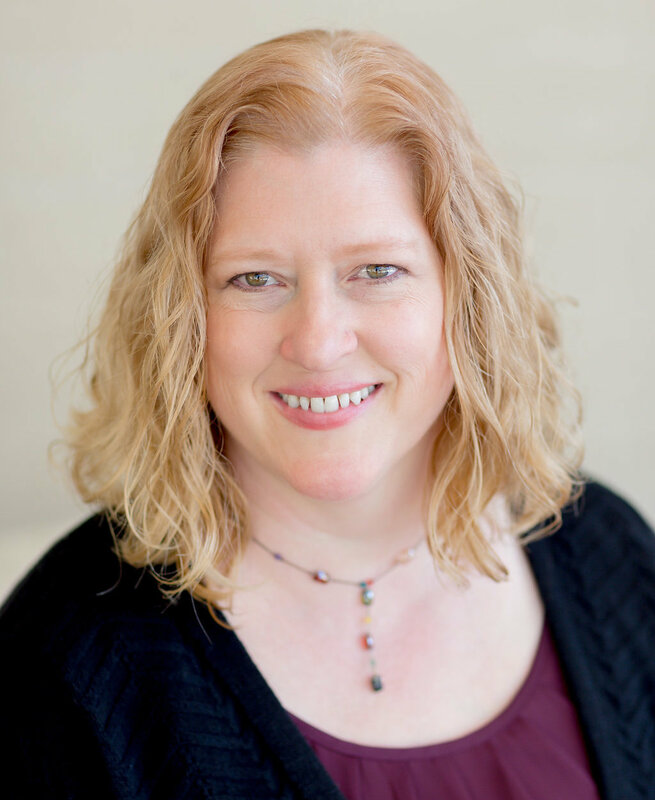 She is an experienced behavioral specialist and provides social support for individuals and families affected by chronic mental illnesses and developmental disabilities. Rebekah is a dedicated mental health advocate and believes every person should be guaranteed access to competent mental health services. In addition to her part time position with Minds Renewed, she is currently the Executive Director of the Sinai Community Development Corporation; a nonprofit organization which is committed to enhancing the quality of life for families through economic development, self-help programs, educational advancement, community revitalization and entrepreneurial opportunities. Nina is a native of North Carolina and attended college at UNC-Chapel Hill, where she majored in Religious Studies. She continued her studies at Harvard Divinity School, completing her Master of Theological Studies, and Stanford Law School. Nina works at Womble Bond Dickinson, LLP. Nina has been an officer and volunteer for Minds Renewed since its 2013 incorporation. She finds healing in serving others as she continues her own recovery from a mood disorder she has had since she was a child. Nina is trained as a PEER Support Specialist and as a certified health records specialist. She also serves through the Shining the Light community mental health awareness ministry of Centenary United Methodist Church. Along with her parents, she has worshipped with a variety of congregations: at Myers Park Baptist Church in Charlotte, Centenary United Methodist Church, and Green Street United Methodist Church in Winston-Salem. Rob began volunteering as our CTO in 2016. 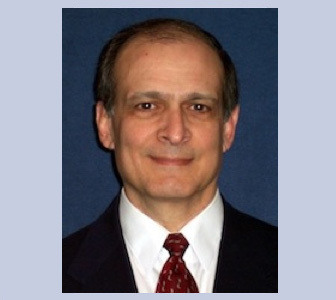 He is well prepared with over 30 years of leadership and consulting experience with global and fortune 500 companies, Healthcare Integrated Delivery Networks (IDNs), Academic Medical Centers (AMCs), biotech/pharmaceutical companies and medical device organizations. 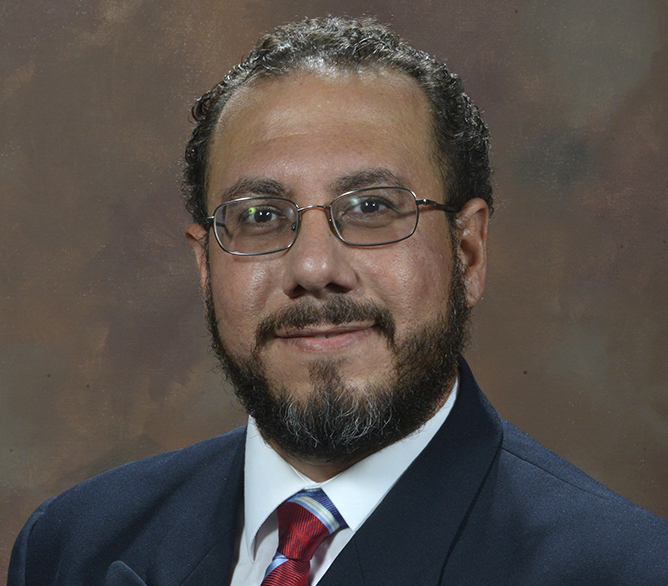 A PMP certified project manager, he currently works with the Enterprise Data Organization at BB&T Bank. 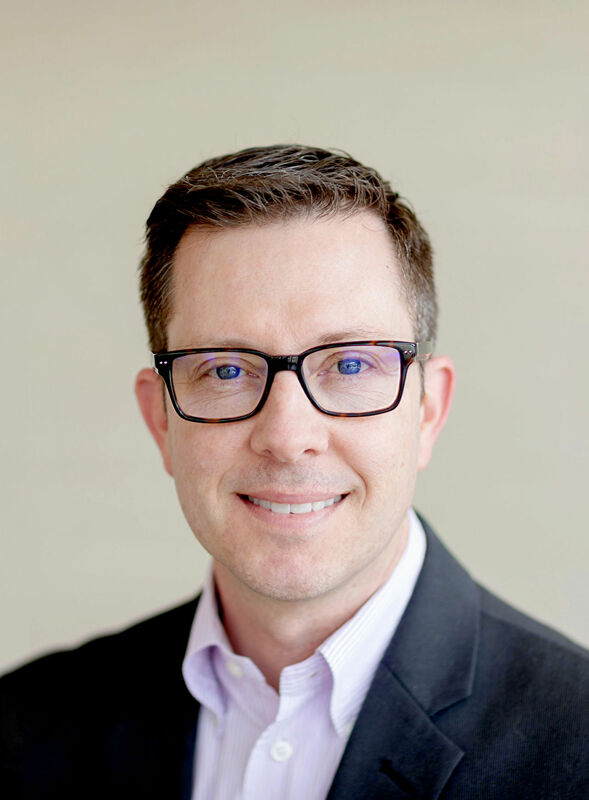 A seasoned leader, Rob has both industry and consulting experience and specializes in informatics strategy, development and deployment of information systems, corporate consolidation, as well as performance management and process improvement initiatives. A native of small town eastern North Carolina, Rob finished his undergraduate degree in Biology at Wake Forest University. He also completed a Master Degree at Appalachian State in Community Education and earned a graduate level certificate in Public Health from UNC’s School of Public Health. Rob and his wife Helen have two married children and a grandson. He values being active in local faith communities, including the New Canaan Society (men’s ministry) and InterFaith Winston Salem. His service to Minds Renewed is rooted in a desire to find ways to bring people together around mental health issues. He believes we will provide leadership as we offer guided access to content and like-minded practitioners that can help those in need. With training and experience in education and a heart for those who are overcoming difficulties, Alissa has a soul wholly devoted to God. She is well-suited for helping to coordinate the variety of administrative and communications tasks a national ministry start-up faces daily. Alissa’s creative talents – especially in visual arts – are also being put to good use. A Tidewater Virginia native, she received a B. S. in Education in the Deaf and Hard of Hearing from Barton College, along with a Cognate Study of Psychology. She also received additional certification in Birth through Kindergarten Education from the University of North Carolina – Greensboro. She taught spoken language to preschoolers with hearing loss for 15 years before homeschooling her own two children for nine years. With her children now in public high school, she’s rejoined the paid workforce to serve God in an area that is very close to her heart. Like many who serve Minds Renewed, Alissa experienced dark times from struggles with mental health issues and unrecognized emotional wounds. She sought and found God’s peace and healing through Christian counselors, medical professionals, and peers, and has been active as a volunteer in helping others find the same. Alissa, husband John, and their children regularly attend Generations Family Church. Our relationship with Robby and Jason, the Winston-Salem contingent of Bull & Beard (www.bullandbeard.com), is partially a business one. But their donated time and spiritual encouragement are inspired by their faith in God and their identification with our mission of honoring God by serving those impacted by mental illness. Along with the partners of MANE (www.madebymane.com) -- Sasa Jovanovic, Darko Ignjatovic and Sinisa Sasic – and their Belgrade, Serbia-based web design and development team, Jason and Robby are literally an answer to prayer for a start-up ministry with the vision to leverage technology and online communications to help people in need find what they need. 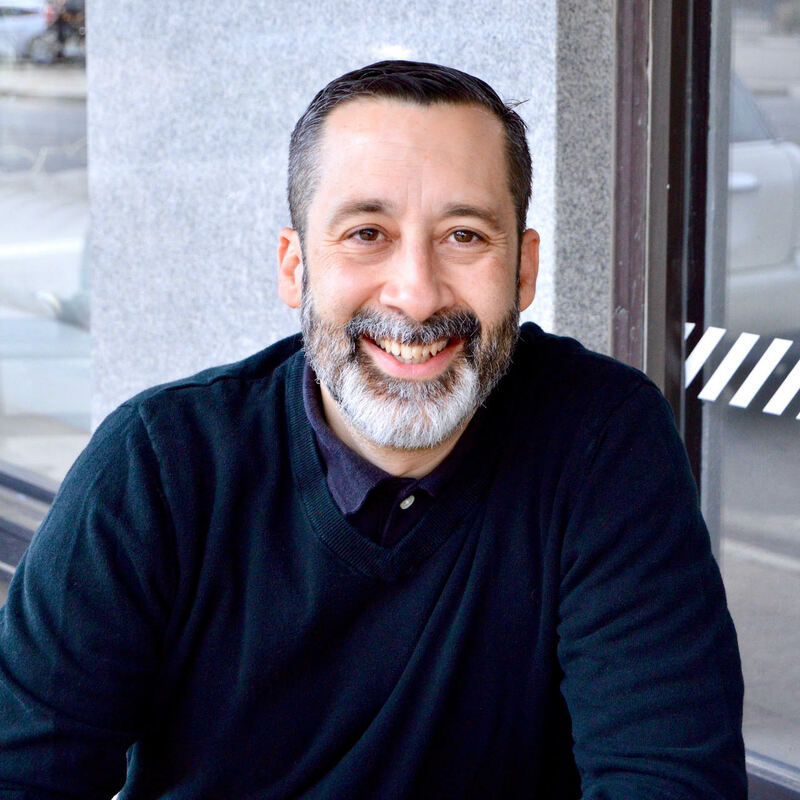 Co-founder and Managing Partner Jason is the bearded one of the group and has two decades of experience covering hundreds of projects using his talents in video, television, film and digital production. He is a graduate of the University of Maryland, College Park and received his MA in communications from Regent University in Virginia. He and his wife Amy have teen and elementary aged children. The millennial 'Bull' of the team is Robby, who began creating companies in high school and never stopped. 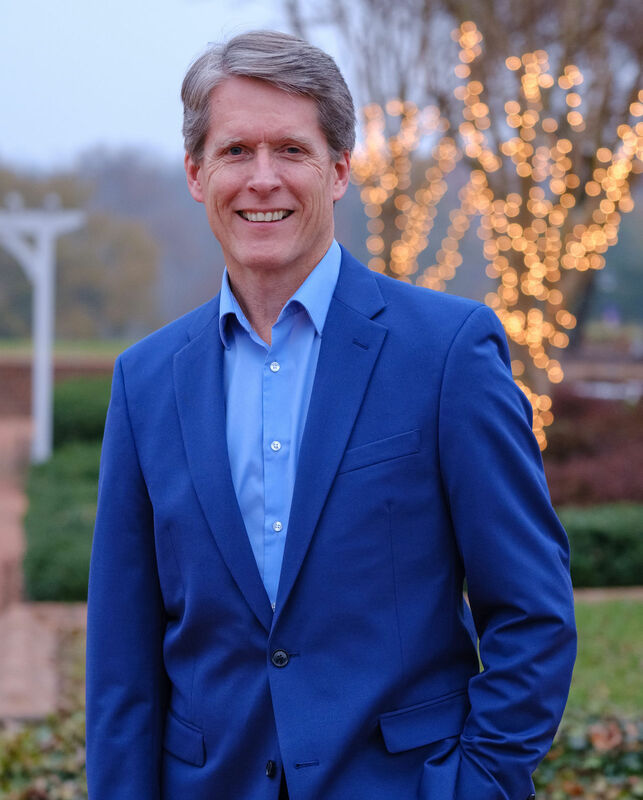 The South Carolinian ran companies throughout his college years at Liberty University, then relocated to Los Angeles where he built a reputation as one of the top digital strategists for start-ups. 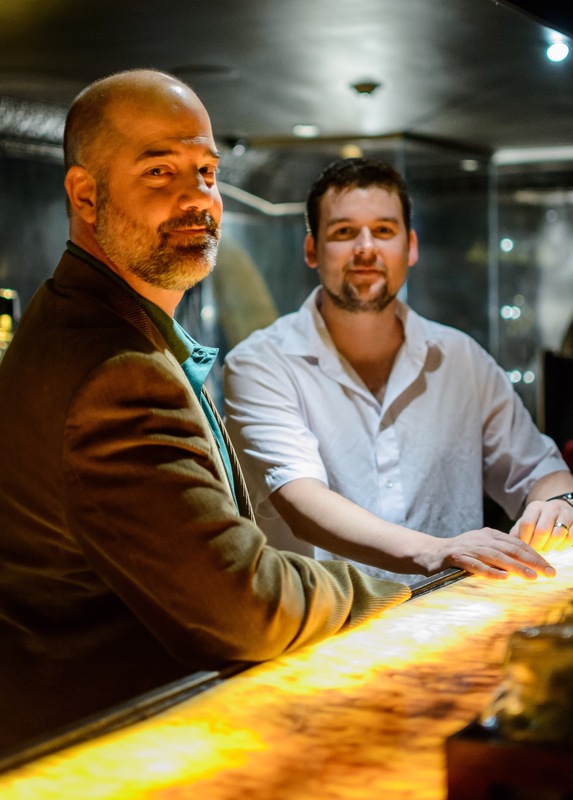 His return to the Southeast eventually brought him to Winston-Salem where he and Jason built a partnership on shared values and complementary talents and experiences. Robby serves as CEO of their company and frequently does interviews, podcasts and writes articles on a range of topics including millennials, digital strategy, and entrepreneurship. He and his wife Marthann have three children, all under five years old. Copyright © Minds Renewed, 2019. All rights reserved.